By Anthony F4GOH and Christophe F4GOJ. Programmable on amateur bands : 80m to 10m. Power : 20 to 37dbm depending of bands. Tranmission on 3 bands alternatively. 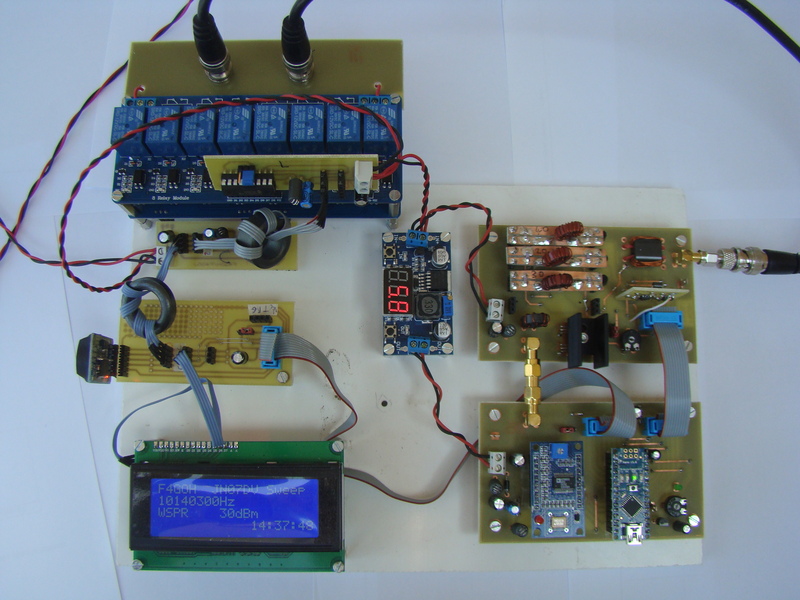 Synchronization by real time clock. Cost 50€ max without the tuning unit.